Only one person ever told me to take some time for myself during my caregiving journey. And when I took his advice and spent the night in a hotel while a family friend spent the night in the hospital room with Pedro, I paid the price the next day in listening to disgruntled ‘well-wishers’ who felt I should have called them or should never have left Pedro’s side nor ‘wasted’ money on a hotel room. 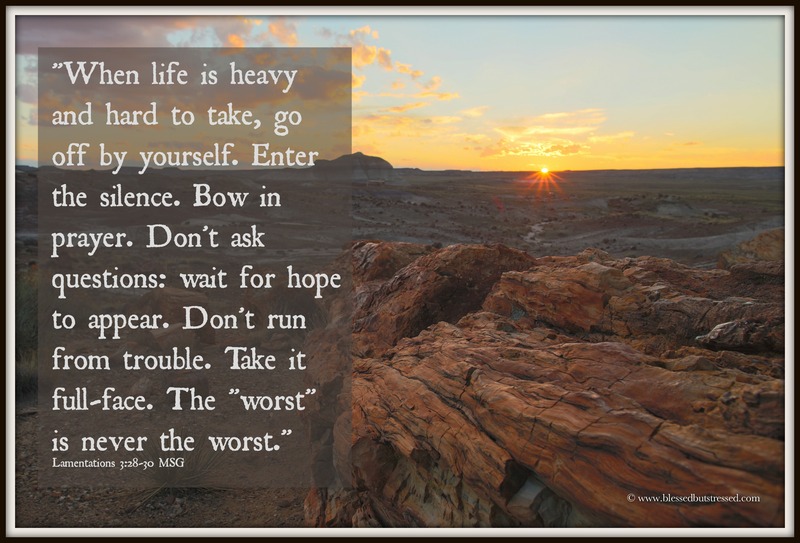 No one else gave me wise counsel, or any counsel for that matter, on how I should handle the stress of caring for a catastrophically ill husband, parenting two young children, working full time and traveling back and forth between San Francisco and Bozeman whenever the need arose. Of course, Pedro received cards of encouragement and assurances that people were praying for him, but no one seemed to notice the bags under my eyes and my inability to knock two thoughts together a lot of the time. And I thankfully drank in the ‘encouragement by proxy.’ Some kind soul did give me a gift certificate for a massage, but I didn’t cash in on it until two years after Pedro’s transplant—and then I squeezed it in between rushing here and there. (If you know someone who is critically ill, take a moment to send a card of encouragement to the one who cares for the ill person). It won’t be easy. If you spend time alone, or try to ‘go away’ for an hour, an afternoon, or a day, someone will try to trip you with guilt. Ignore them. I wish I had. I paid a heavy price for not seeking time to take care of myself. I never managed much more than this during the worst of our crisis. Sure, I usually had my prayer journal with me, and the Gideon Bible from the hospital room, but it’s hard to ‘go away’ when nurses and doctors form a steady stream in and out of the room. Unfortunately, as things got a little better, I used retail therapy to alleviate my stress (which in turn caused more stress). I felt as if people wouldn’t judge me if I went shopping (that’s what normal people do, after all), but they would judge me if I checked into a hotel room and sat in silence and prayer. I worried too much about what others would think. Recognize that you have needs, too. If you’re an extrovert, your needs might include spending time with friends in Bible study or doing fun activities. If you classify yourself as an introvert, a hotel room and no electronics might satisfy your cravings for time away. If someone questions your choices, remind them that flight attendants always tell us that we need to place our own oxygen masks on our face BEFORE we assist anyone else. Without oxygen, we aren’t much use to the one we care for. For almost ten years, my mysterious health problem would pop up—sometimes when I felt stressed out, and sometimes it just arrived unannounced like a rat in the attic. I missed work. Sometimes, I endured joyous occasions while stifling all outward signs of my pain. I would retreat into myself and my own little world of physical pain to the point that I almost missed out on developing good relationships with my daughters. Two years ago, God blessed me with a sabbatical. Pedro accepted a position at his dream job, and I tagged along—happy to NOT have a job awaiting me. For the first time in twenty years I had a break from teaching and from full-time parenting (both our girls were away at college). Sure, other stresses reared their ugly heads, but I had time to think and ponder and pray and relax. I spent a lot of time outside with my ‘therapist’ developing skills in my new hobby. My sabbatical lasted one school year. The last episode of crippling pain, fevers and swelling occurred in September of 2012. I’ve had time to write, reflect and process my crazy caregiver journey. 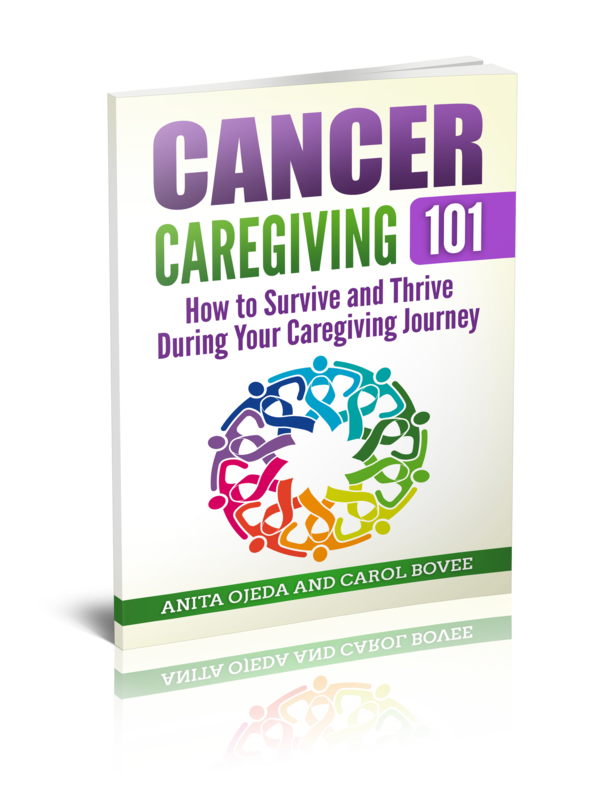 Hopefully, some of what I’ve learned will bring comfort to you, whether or not you classify yourself as a caregiver. What has your journey taught you that you wish other caregivers knew?